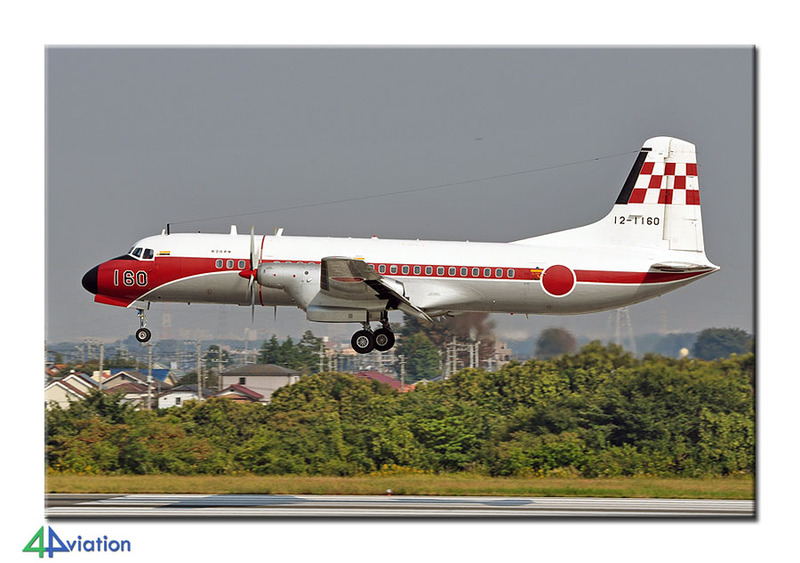 On 19 October 2012 we started our second tour to Japan in 2012. 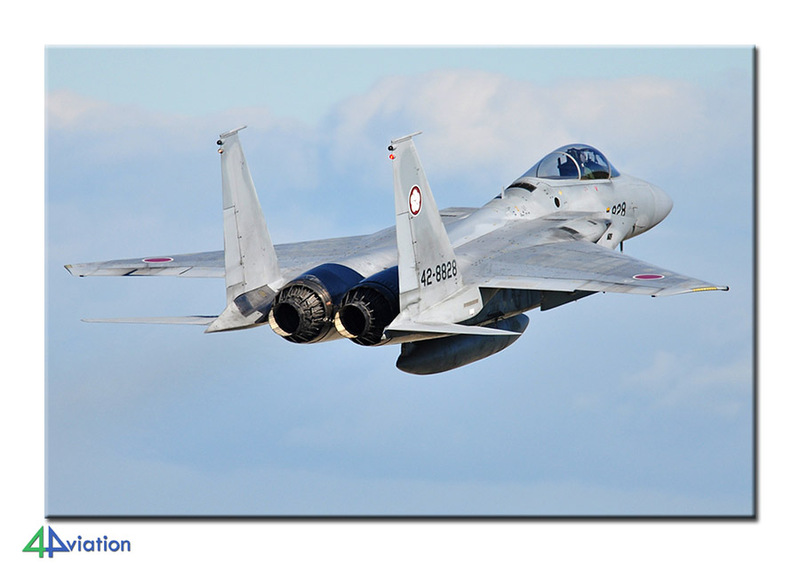 During this autumn tour we managed to included a couple of interesting air shows in the country. Nine participants gathered for the new Japan tour gathered at the well-known red/white block at Schiphol on Friday 19 October 2012. Participant number 10 had just arrived from England and we would meet him at the gate. After an uneventful direct flight to Narita with KLM we met the eleventh participant there. He had just flown in from Australia. It was Saturday already and the tour that would be remembered for its perfect weather was set to go. 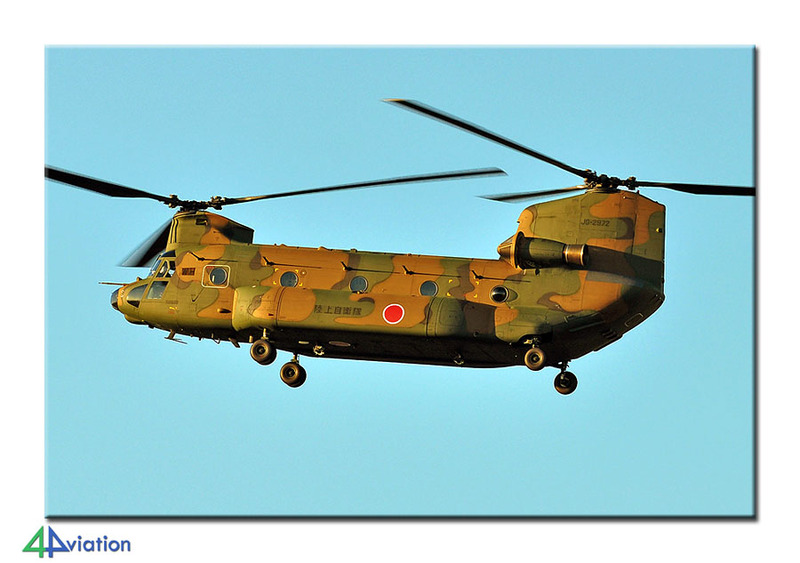 We were to visit the air show at Hyakuri on Sunday. Since Hyakuri was more or less situated on our route to the hotel in Mito we decided to have a quick look at the rehearsal on Saturday afternoon. 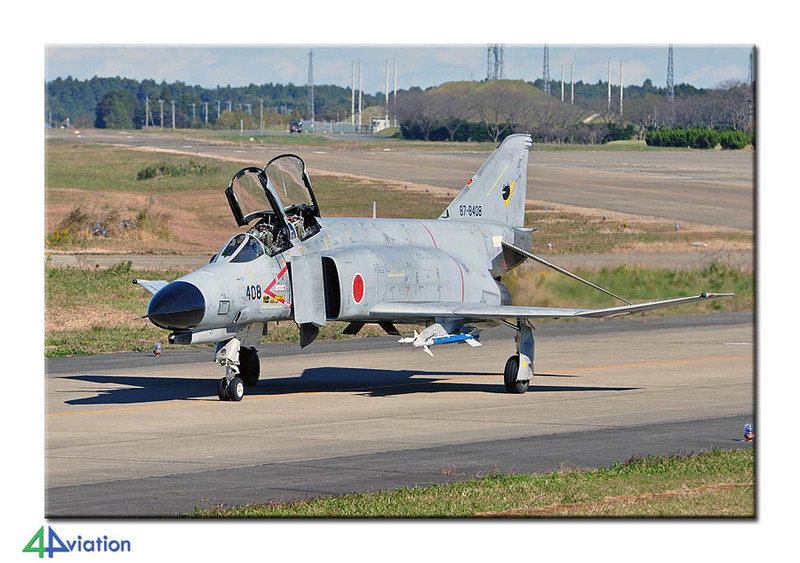 By doing this we scored our first Japanese aircraft on Saturday 20 October already. Another important task for this day was to buy our stepladders! For most participants the lights went out pretty early. We had been travelling for a long time and two very intensive weeks were ahead of us! 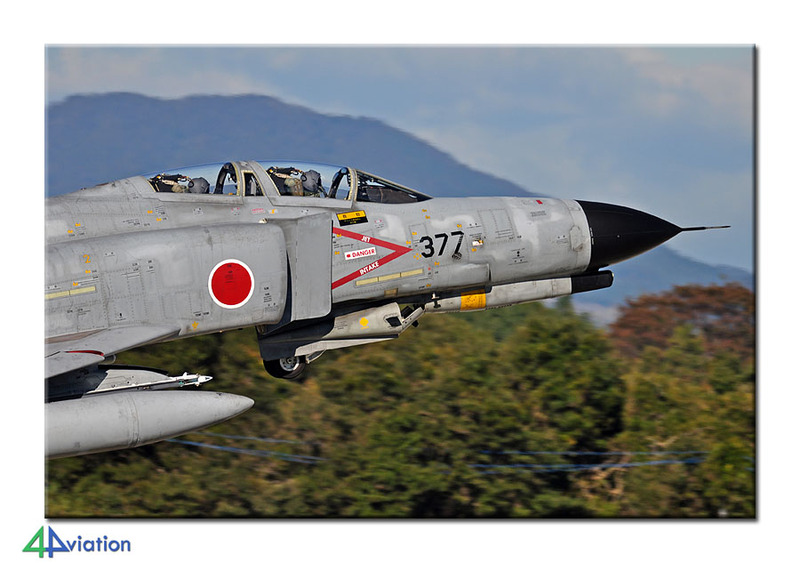 On Sunday 21 October we hit the road very early to avoid the congestion around Hyakuri and to make sure we would be on time for the air show (set to start at 9 o’clock). The static consisted of most of the air force types and some aircraft of the navy and army, as well as two USMC Hornets. 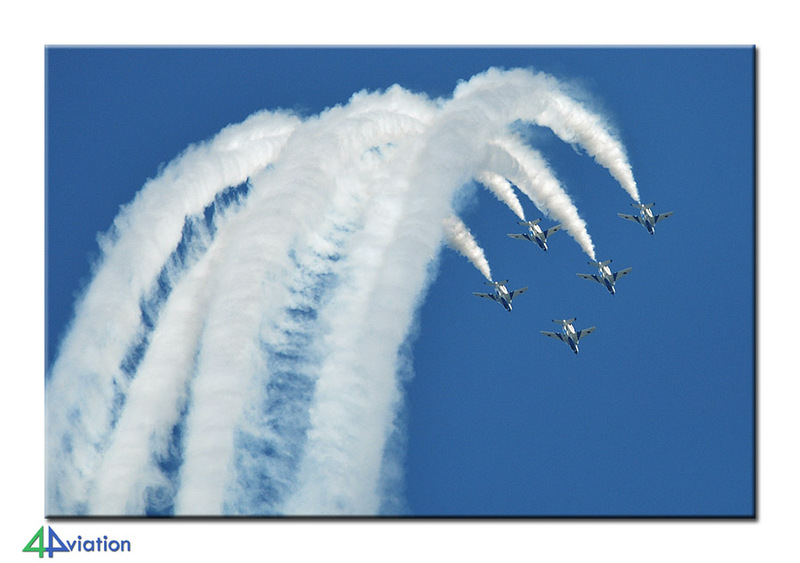 The air show was made up of based aircraft that flew in several formations. The photo opportunities were perfect, particularly in the morning. Awesome shots could be made of the base Phantoms and Eagles. At the end of the day we drove to Tokyo for our hotel in Wako. It took us 4 hours to get there, while it was predicted to take 1.5 hours only. 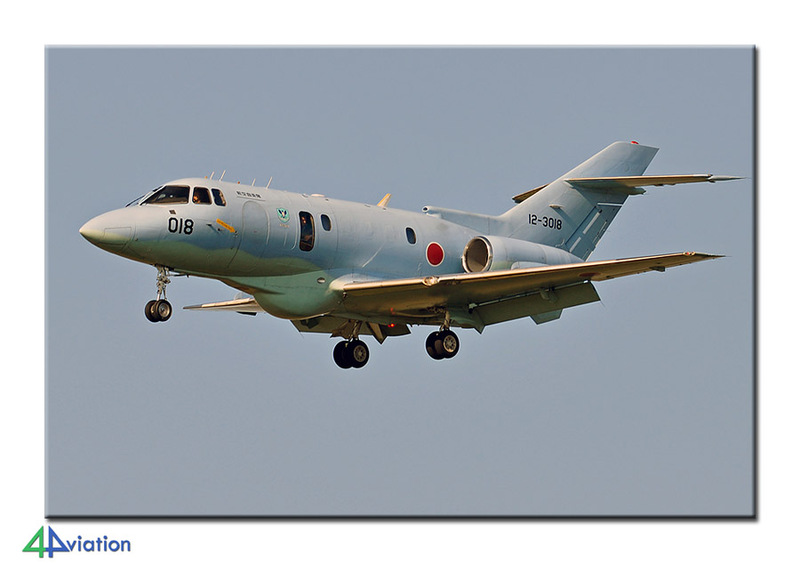 The 22nd (Monday) was reserved for a visit to Iruma. We arrived at the base around 8 o’clock in the morning, but despite that we saw aircraft take-off before we arrived. We were lucky since they were flying from the North side which is the best option in the morning. Around 10 o’clock they started using the other side and we moved to the South side to end up at the well-known (for many) spot near the hospital where you can capture the aircraft on the taxi-track from an elevated position. There was a lot of activity and the bonus of the day was the rehearsal of a display by four C-1s and a U-4, rehearsing for the air show two weeks later. On our way to our hotel near Atsugi we stopped at Yokota. We were able to photograph a C-130 and a nice C-12J. The number-crunchers were happy to read to platform here as well. We arrived at Yamato in time, allowing for a relaxed evening dinner that day. The weather forecast for Tuesday was not very good. 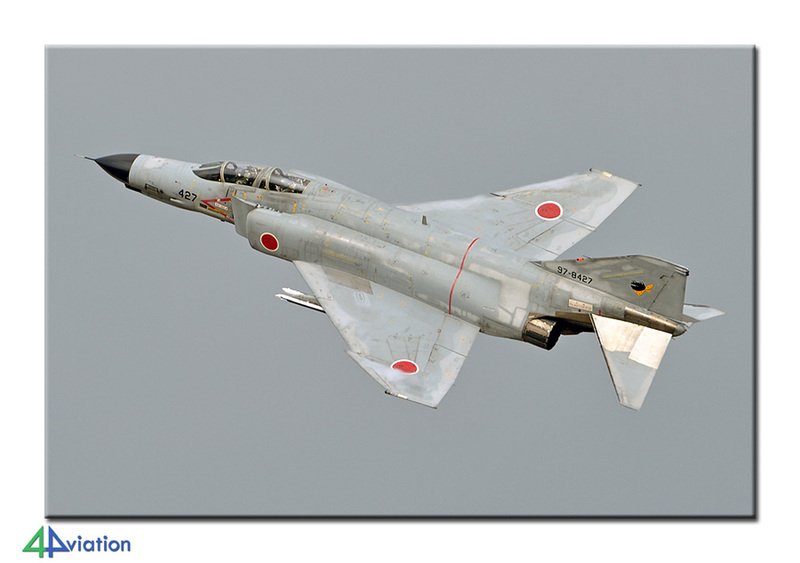 The weather was indeed threatening to be bad when we headed for Atsugi on Tuesday 23 October. After getting there it soon started to rain. We already knew that the based Carrier Air Wing was at sea and the amount of activities here was disappointing. The, combined with the bad weather, made us decide to leave early to find out if the weather at Shizuhama (scheduled for Wednesday) was better. 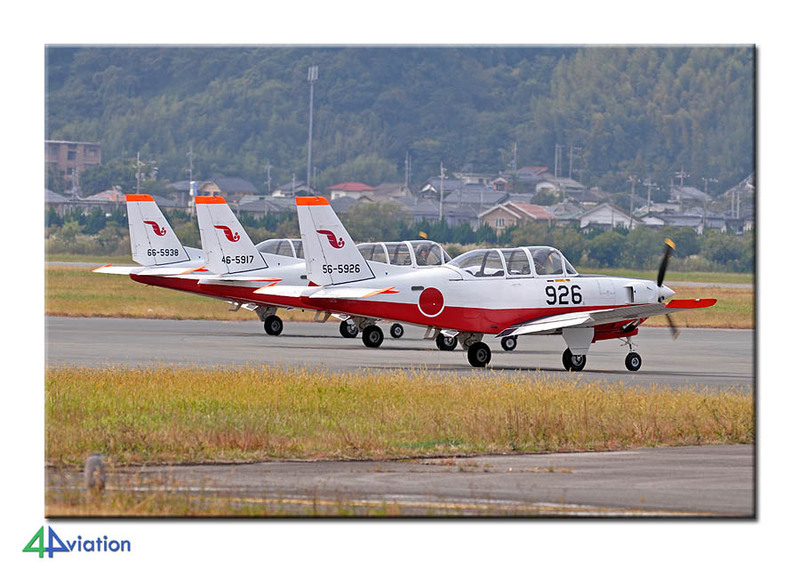 This appeared to be the case and so we were able to capture a number of T-7s in fair weather conditions in the afternoon. We arrived at the hotel very early this evening and again were able to have a relaxed evening. Since we were happy with the score at Shizuhama the day before we decided not to return there on Wednesday (24 October) but to add Komaki to the itinerary. 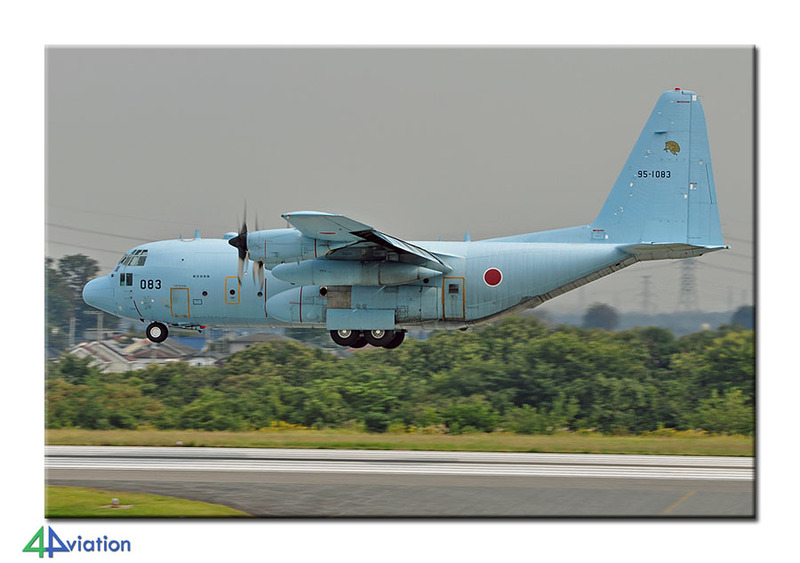 Komaki is situated at the old international airport of Nagoya and is home to the C-130 fleet and the SAR wing training school of the JASDF. Furthermore Mitsubishi has its facilities here. The old airport terminal has been transformed into a shopping mall and the old platform is now a parking lot for this mall. From this parking lot you can take fine shots of aircraft on the runway. After a satisfying morning we moved to Gifu around noon. 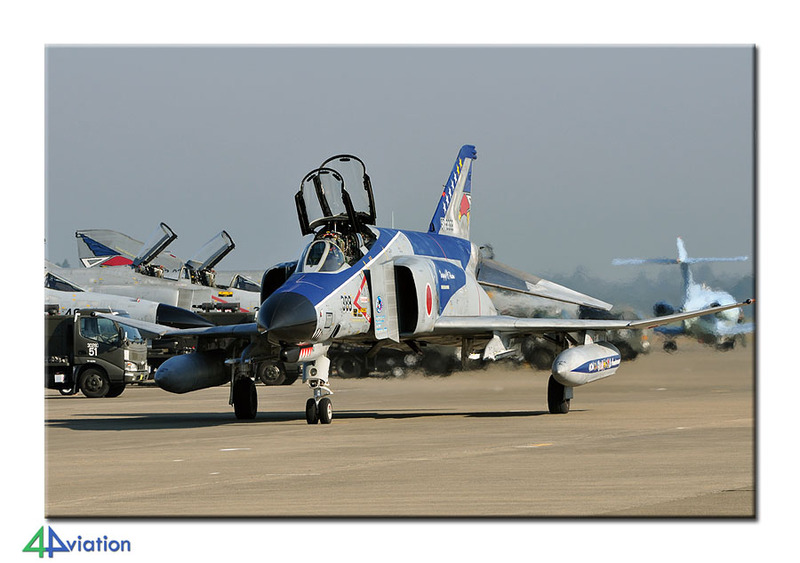 At Gifu the test wing of the air force can be found. 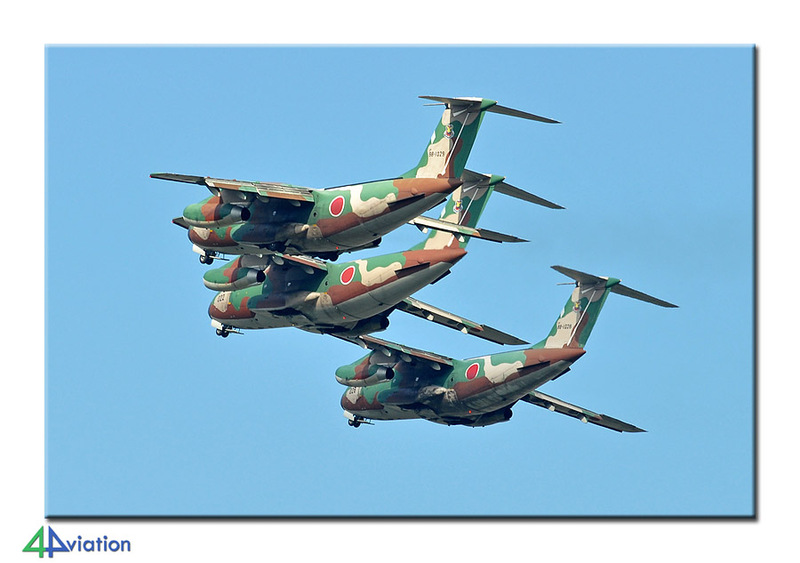 Here they were rehearsing for the air show that was to take place the upcoming weekend. 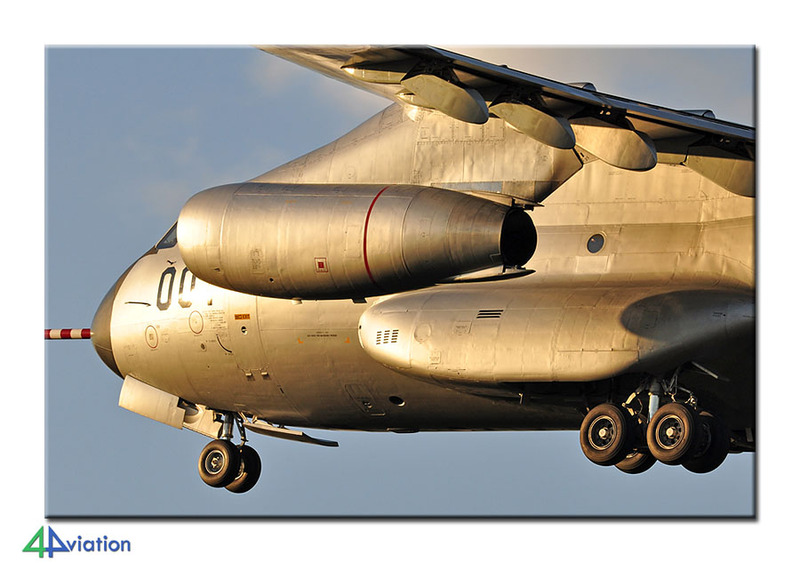 In fine weather conditions we were able to capture a nice collection of very interesting aircraft. That evening we moved to the West coast of Japan to make sure we could be at Komatsu on time in the morning. On Thursday 25 October the weather was fine and we arrived at Komatsu early. Not a lot of aircraft were outside when we got there. A small number of Eagles was towed to the platform and during the morning only a couple of T-4s flew. The Eagles only started flying after the lunch break and what we concluded during the morning appeared to be the case; morning operations were very slow because they had night flying scheduled that day. We had to leave in time since we had a long drive ahead of us to Tokushima (on Shikoku island) on the East coast. We arrived there late in the evening. 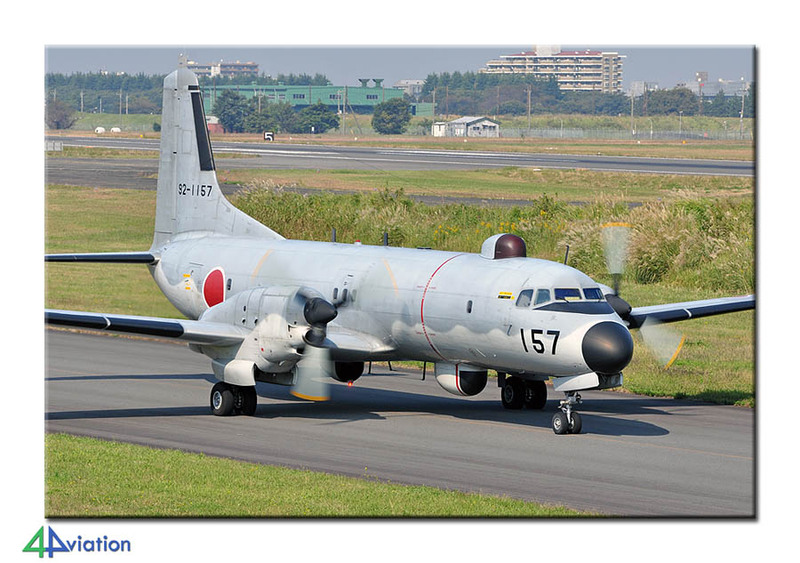 Tokushima is a Japanese Navy base where the multi-engine training takes place, using the Beech TC-90. We arrived there (on Friday 26 October) around 9 o’clock and they were very active already. A ceremony on base resulted in two Beeches visiting from Atsugi. This ceremony resulted in the lunch break starting earlier than normal. We moved to Komatsushima in time. 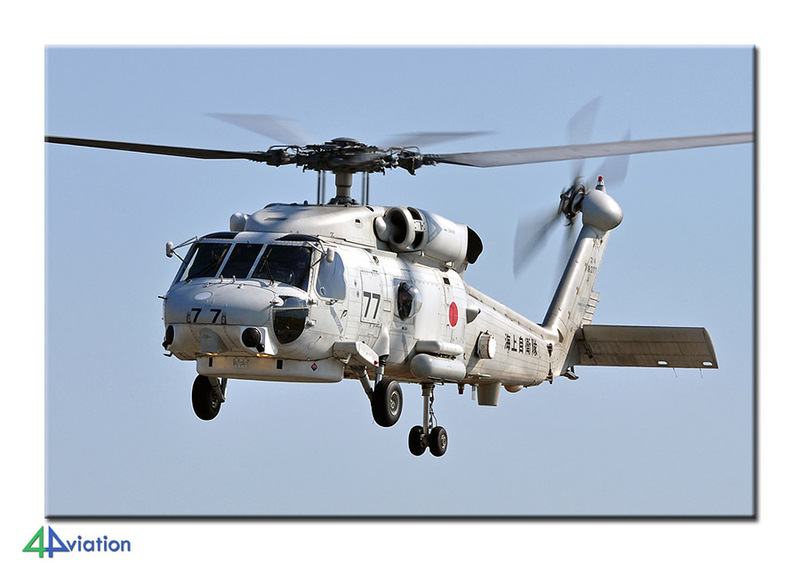 Komatsushima is a navy helicopter base that is home to a number of SH-60Js. Shortly after we arrived there a Sea Hawk landed at this beautiful little air base. We had been checked by security personnel earlier that week. Here, they chose for shadowing us without being noticed and a lousy under-cover person. After some time we started our long drive towards Hiroshima. We arrived there late in the evening, but not too late to get a taste of the atmosphere in this dynamic city. We started Saturday the 27th with a visit to the A-bomb memorial in Hiroshima. This is a very impressive memorial and a must-see if you get the chance. 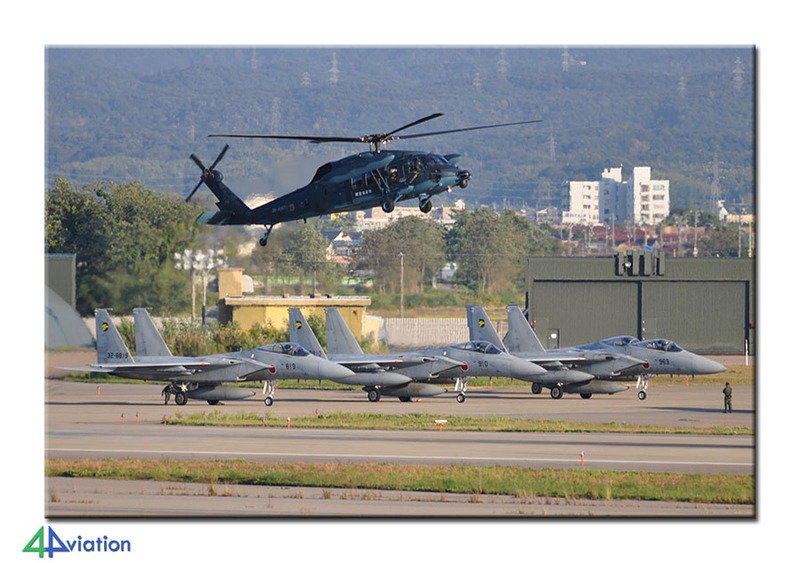 We then paid a short visit to Iwakuni. 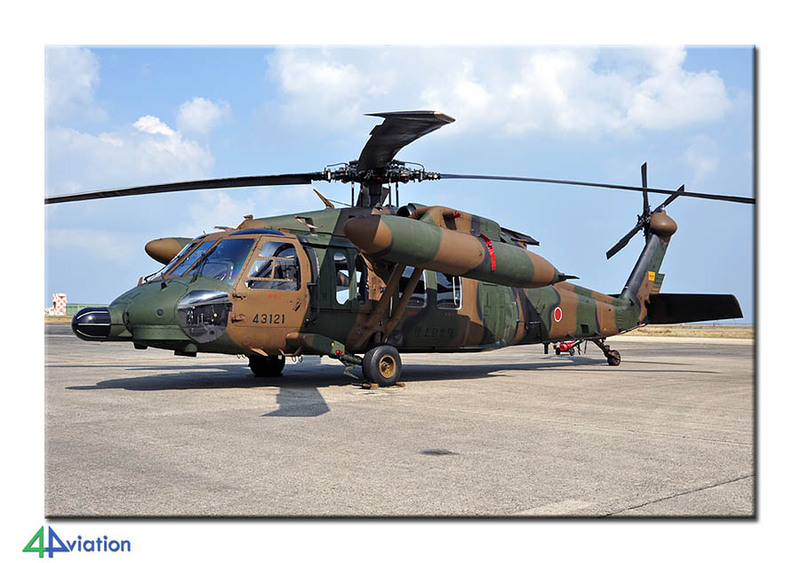 A US-2 arrived while we were there, as well as a Kadena Black Hawk. A UC-12 took off. The weather was not very good (the second and last day of unsatisfying weather conditions) and they were operating the wrong runway so we decided to leave again. The hotel for the day was situated in Shimonoseki, near Ozuki, on the southernmost tip of Honshu. The idea was brought up to have a look at Ozuki on Saturday afternoon. An air show was scheduled for Sunday but we didn’t have time to visit that. We were happy to see five T-5s at the threshold and see five more returning soon afterwards. It appeared to no less than 15 of these aircraft were being used to make pleasure flights for family members of base personnel. This bonus gave us some ‘air’ for next week and we decided to adjust the schedule for next week (that contained some longer drives). On Sunday (28 October) we arrived at Tsuiki early and this appeared to be a wise decision. The air show had attracted a huge crowd. It was a very nice show, despite the cloudiness during the first hours. 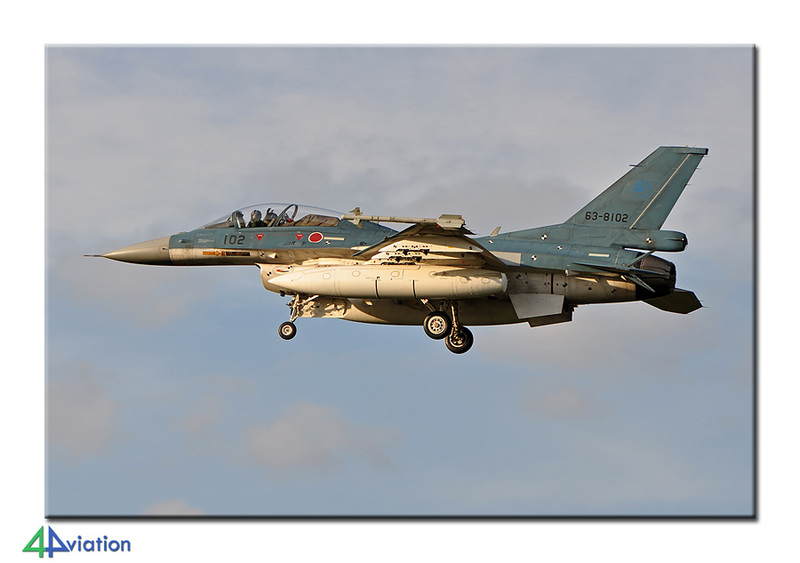 Contrary to Akeno and Gifu, that also hosted an air show today, the weather turned out to be perfect during the day! The air show was more varied than the one at Hyakuri and the static show comparable. By choosing some smaller roads on our way out the avoided the major part of the congestion at the end of the day and were able to start heading for Miyazaki near Nyutabaru. We arrived late in the evening and had to get up early the next day again. So, off to bed soon after our arrival for most of the participants. The next morning, Monday 29 October, we left the hotel before the roosters started calling. We arrived at Nyutabaru around 7.30 in the morning. 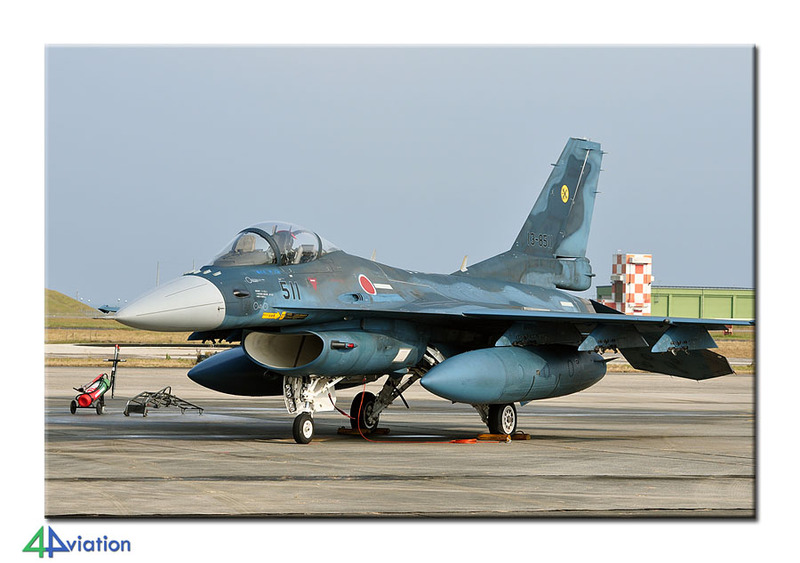 This sounds early, but usually the first fighters are ready for take-off at 8 o’clock. So they did today. 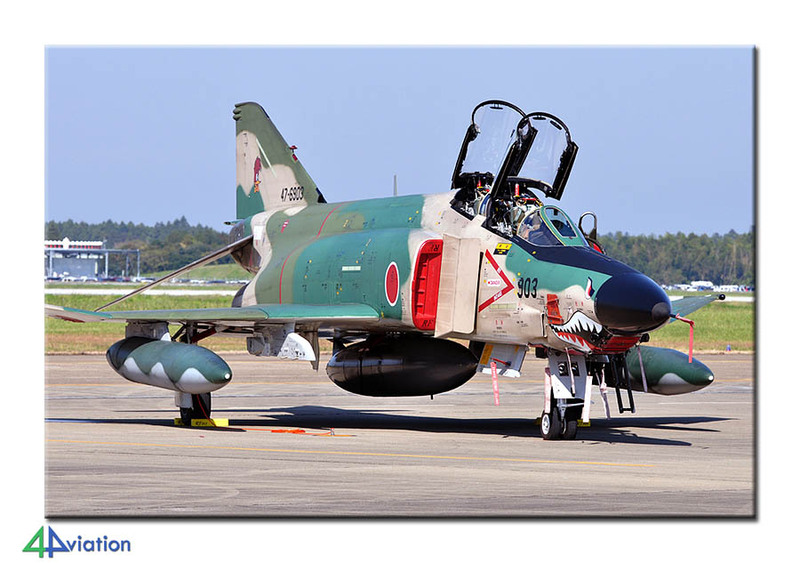 The Phantoms had the honour to fly the first wave, followed by the Aggressor Eagles and the Eagles of 23 Hikotai. 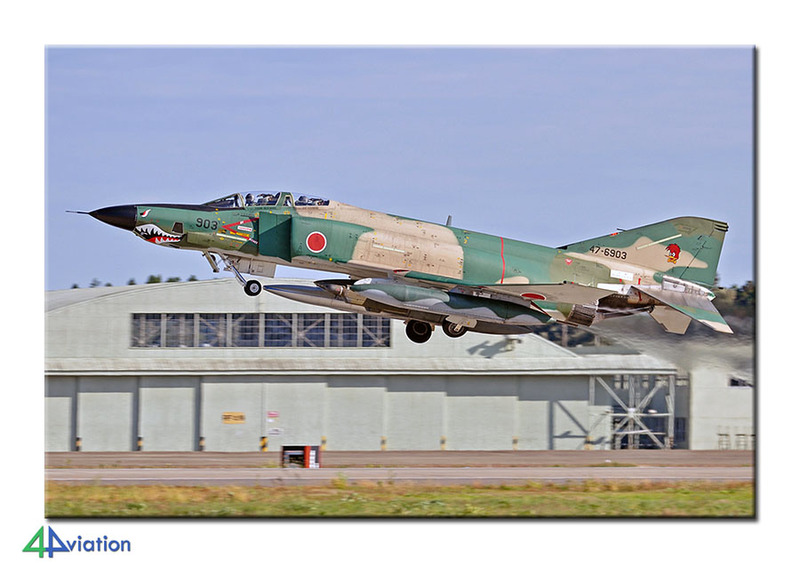 After the first wave of Phantoms and the Aggressor Eagles had returned they opted to change the runway in use. This meant they would start from the, less perfect, Western side. As usual, they were flying like crazy and by the time we left all units had flown three waves. Very satisfied we left the base at the end of the afternoon and drove towards Kokura, at the Northern tip of Kyushu. We arrived there late in the evening. 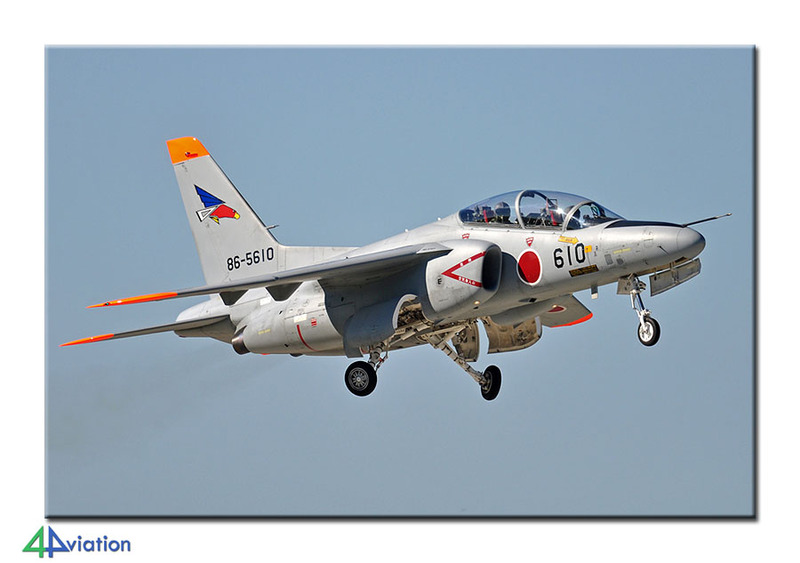 Tuesday (30 October) started with us heading for Hofu, of the two T-7s bases of the JASDF. We arrived there when the first aircraft were just returning from their mission and within no time we had collected around eight T-7s. 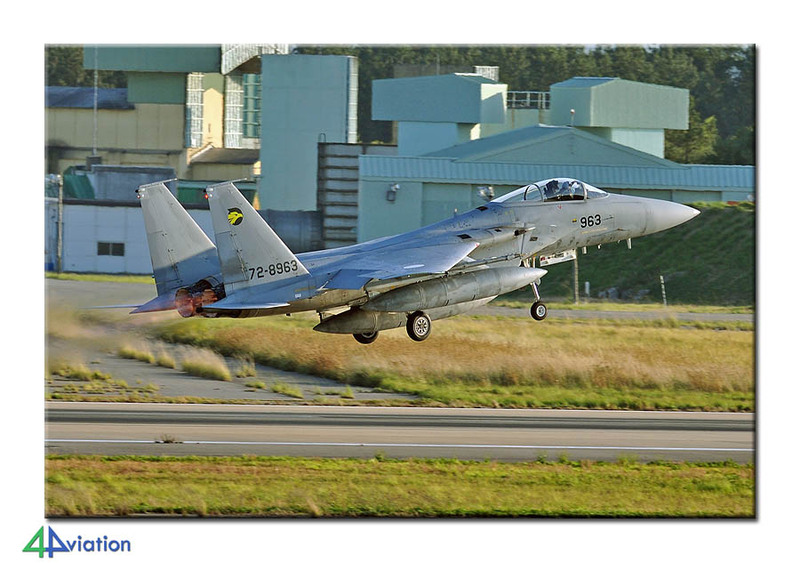 After the first aircraft of the next wave had taken off we moved to Iwakuni. We were hoping they would use the preferred runway. We soon found out that this was not the case unfortunately. An awesome sight though was a US-1 making touch-and-goes in the water! With quite some millimetres it was even possible to shoot pictures of that. At the end of the day we drove to Otsu where we arrived late in the evening (again). Because overcast was predicted for Thursday we decided to move our visit to the fantastic Army base of Akeno one day forward to this Wednesday 31 October. We arrived there around 8 o’clock and despite a fair number of aircraft were parked outside, activities were still to start. This soon changed with the arrival of two visiting Chinooks. This was followed by flying activities of the other choppers under a blue sky with very fine sunshine! The change of the route had another advantage. 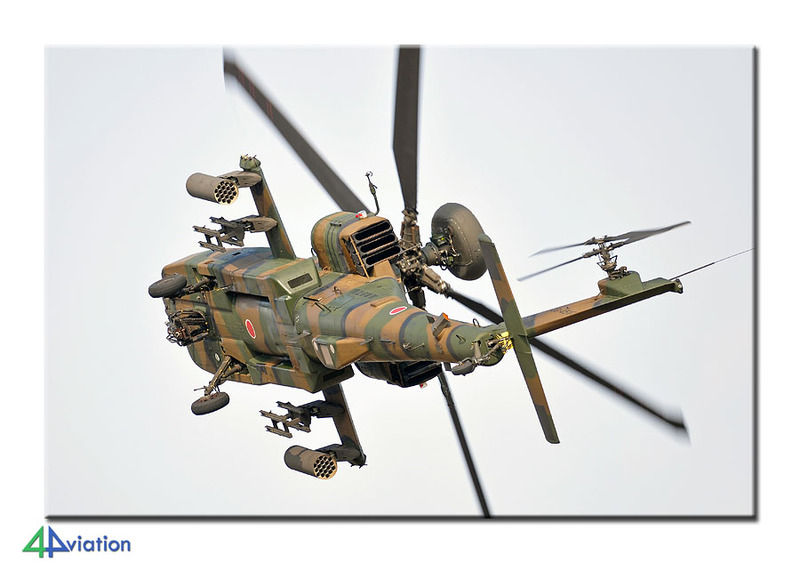 At the end of the morning the based Cobra unit departed with a formation of seven Cobra’s and two OH-1s. They were to take part in an exercise and we didn’t see them again, nor was this unit operating the next day. Feeling very satisfied we decided to pay another visit to Gifu that day. We were hoping to see some additional aircraft at this very interesting air base. Furthermore some participants wanted to visit the museum there. All said and done, some time later we were taking pictures again at Gifu. There was a lot of activity and lots of nice pictures could be taken while the sun was setting. Since we had a hotel reservation in Tsu near Akeno we had to drive back again and opt for the ferry towards Hamamatsu the next day. The next morning (Thursday 1 November) we arrived at Hamamatsu around 10.30 in the morning and because of the changes in the schedule we now could spend more time here. Our original plan predicted we would arrive here around 1.30 in the afternoon. They were flying like they should and in between we were also able to pay a visit to the air force museum that is located next to the base perimeter. 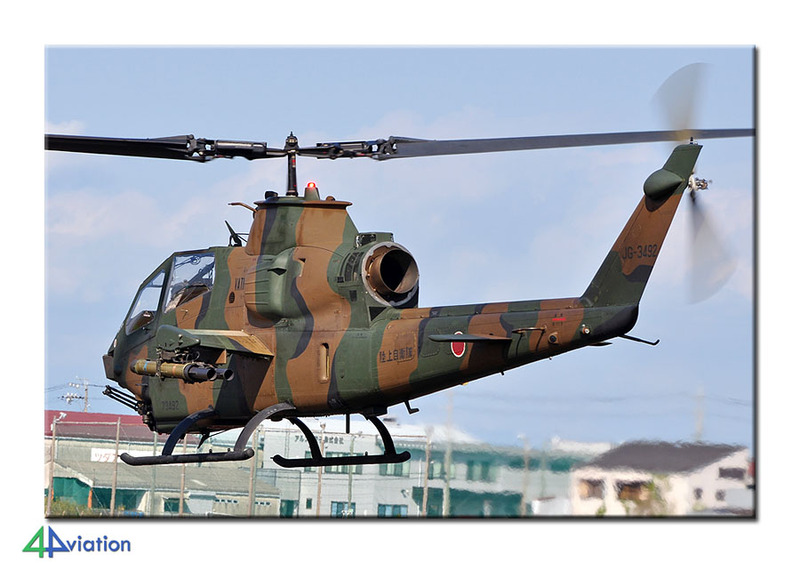 Highlights of the day were a YS-11 visiting from Miho and a UH-60J that was still wearing the ‘old’ yellow colour scheme. Since we had to cross Tokyo to get to our hotel near Hyakuri the same day we decided to leave Hamamatsu in time. Luckily we therefore were in time to capture Mount Fuji in its full glory in sunset conditions. Tokyo traffic was heavy again but we arrived at our hotel in Tsuchiura at a rather decent time that evening. It was Friday 2 November by now already, our last day of operational activities in Japan. We were expected at the famous towers of Hyakuri at 7 o’clock in the morning. 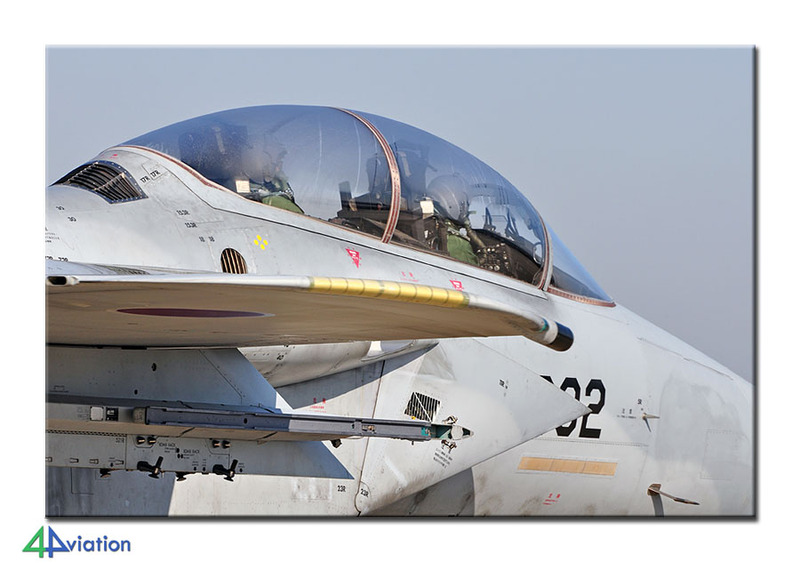 From this fantastic location we could make awesome shots of the based Phantoms and Eagles in the morning. 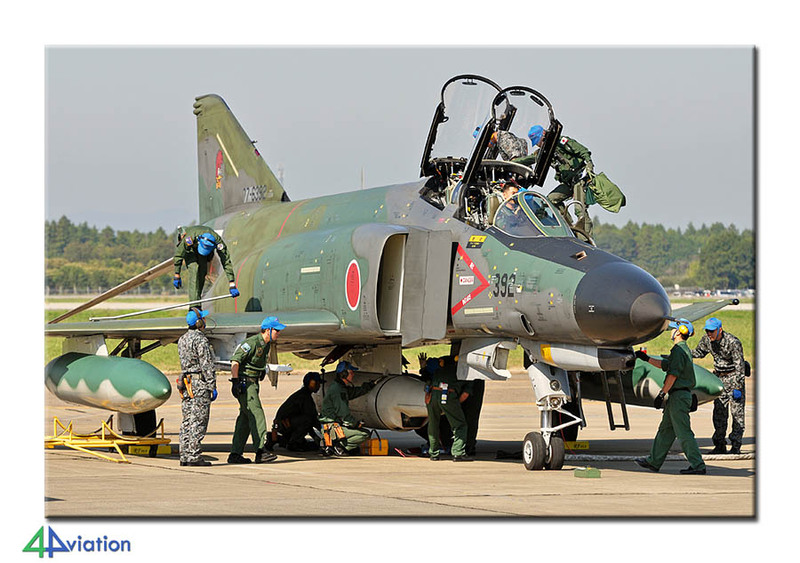 A bonus here were six Nyutabaru Phantoms that were detached here and flew three waves of four aircraft each. The camouflaged recce Phantoms unfortunately didn’t fly in the morning. Three of them did take-off for Nyutabaru during the afternoon. We then were at a very nice spot in the other side of the runway. At the end of the day we were very happy that we had returned here, despite our successful visit to the air show the week before. We drove to our hotel in Wako again at the end of the day. The drive that took us four hours last time now only took us two hours to complete. 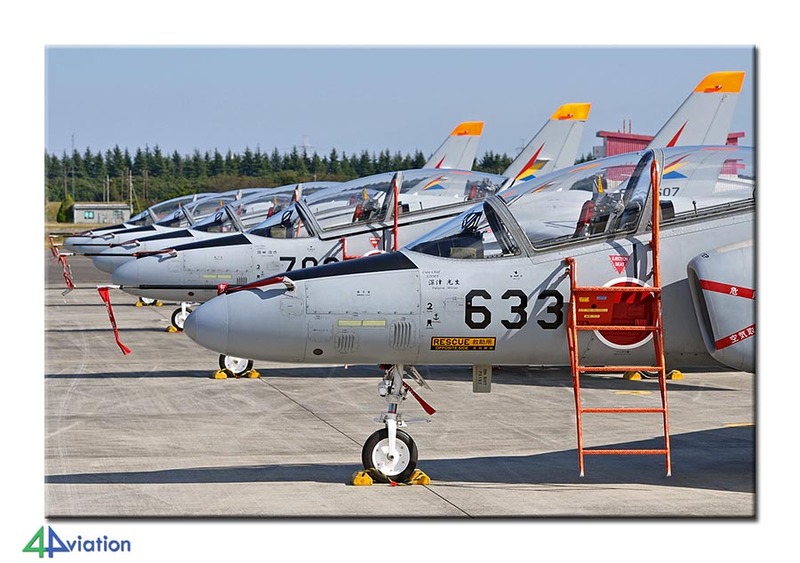 The air show at Iruma is known for its huge crowds and lack of parking lots. Because of this we left our hotel very very early on Saturday 3 November towards a shopping mall a couple of kilometres from the base. We parked our car there and took the train to cover the remaining distance to the base. We had to leave in time that day in order to be able to hand in the rental cars in time. All went smooth and we joined the line to enter the base a couple of hours before the gates opened. Among a very huge crowd we were able to see and photograph the air show. 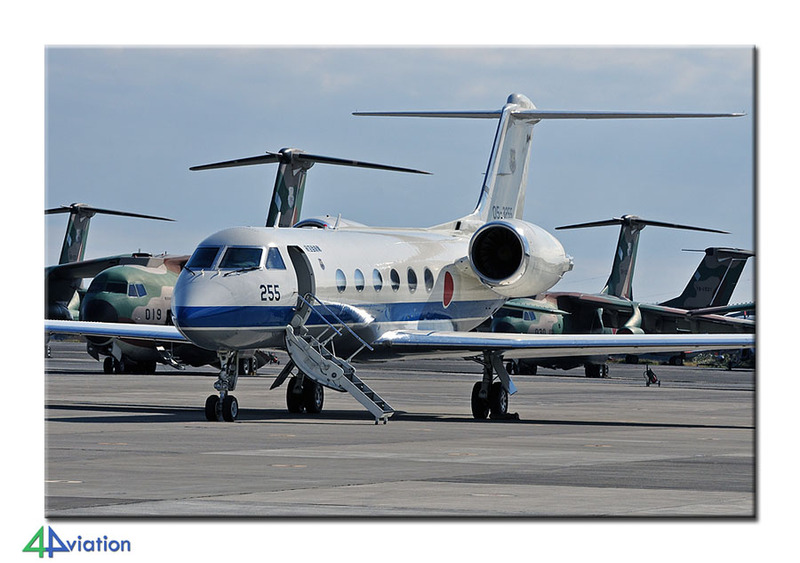 The highlight being the mass take-off and demonstration of six Kawasaki C-1s. Before Blue Impulse started its display we left the base to beat the huge crowds leaving. We decided to make a short stop at Shimofusa on our way to the hotel. We wasted a lot of time around that base finding our way but still managed to hand in the cars in time and check in to our hotel in time. That evening we had dinner at the airport and said goodbye to the first two participants that would fly home on different flights. On Sunday 4 November the tour came to end with a long Alitalia flight via Rome. The tour turned out to be fantastic again with perfect weather conditions (for Japanese standards)!